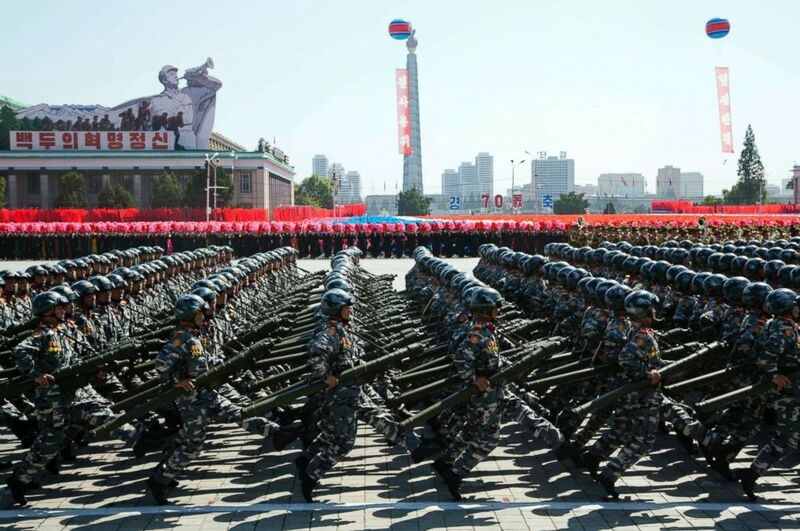 Thousands of goose-stepping soldiers, battalions of tanks, rocket launchers and fighter jets were on display in and above Pyongyang's Kim II Sung Square on Sunday to mark the 70th anniversary of North Korea's founding, but noticeably missing from the massive show of military might was the country's arsenal of nukes. North Korean leader Kim Jong Un watched the procession, a mix of military and civilian pageantry, from a balcony overlooking the square named after his grandfather, who was the founding leader of the country. 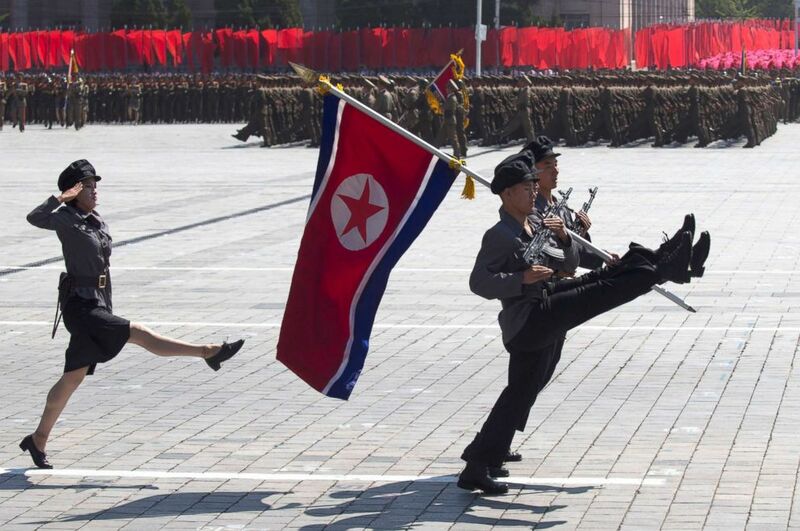 Soldiers march in a parade for the 70th anniversary of North Korea's founding day in Pyongyang, North Korea, Sept. 9, 2018. "Their nuclear program has achieved what they wanted it to achieve: They wanted to pose a significant threat with these nuclear weapons," Grace Liu, a research associate at the James Martin Center for Nonproliferation Studies in Monterey, California, told ABC News, explaining the likelihood of why Sunday's parade didn't include nukes. "They wanted leverage to get South Korea and the U.S. to the table," Liu said. The parade came just four months after Kim and President Donald Trump met in Singapore and signed a joint statement committing to denuclearizing the Korean Peninsula. Since the summit, the first between the leaders of the United States and North Korea, negotiations to denuclearize the peninsula have devolved into an impasse. In August, Trump canceled Secretary of State Mike Pompeo's trip to North Korea, citing the lack of sufficient progress. Sunday's parade might have signaled that Kim wants to jumpstart the negotiation by not showcasing his country's intercontinental ballistic missiles, believed capable of reaching the United States, experts said. 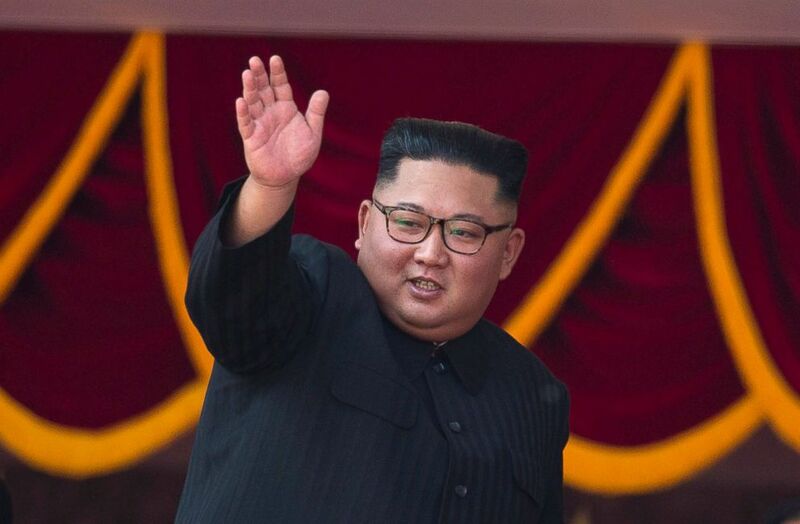 It also indicates, according to experts, that Kim may be attempting to taper down tensions as he prepares for a three-day summit later this month in Pyongyang with South Korean President Moon Jae-in. North Korean leader Kim Jong Un waves as he attends a parade marking the 70th anniversary of North Korea's founding day in Pyongyang, North Korea, Sept. 9, 2018. Jeffrey Lewis, an expert in nuclear nonproliferation and a scholar at Middlebury Institute of International Studies, said North Korea's decision not to show off its nuclear weapons is following the "out-of-sight, out-of-mind" strategy of other nuclear-armed countries. "North Korea is not looking to give up its nuclear weapons. What they are looking to do is get sort of the Israel deal, where they don't talk about them anymore," Lewis told ABC News. "They exist and they can have as many as they want, but they won't parade them." There was no immediate explanation from North Korea as to why the country chose not to showcase its greatest weapons. On the eve of the opening ceremony for the Pyeongchang Winter Olympics in neighboring South Korea, a military parade in Kim II Sung Square not only featured ICBMs wheeled out on trailers, but also a speech in which Kim declared North Korea a "world-class military power" and warned aggressors against infringing on his country's sovereignty "even by 0.001 millimeter." Kim did not speak at Sunday's parade. He capped off the procession by standing on the balcony overlooking the square with Li Zhanshu, special envoy sent by Chinese President Xi Jinping. The two men locked hand and smiled as the crowd below cheered. There was also a large contingent of civilians that participated in the parade, holding colorful plastic bouquets as they marched through the square. Kim Yong Nam, the head of North Korea's parliament, opened the parade with a speech emphasizing the country's economic ambitions over its military goals, a message that seemed to appease Trump. 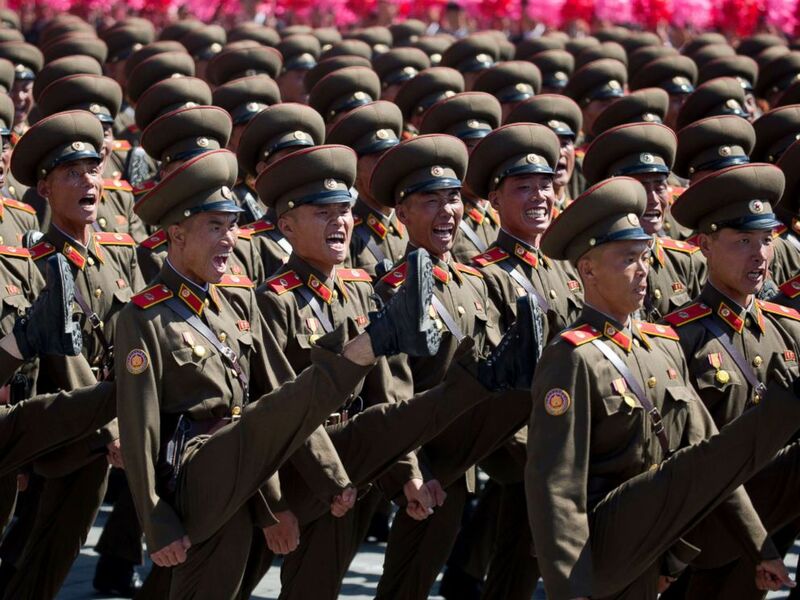 "North Korea has just staged their parade, celebrating 70th anniversary of founding, without the customary display of nuclear missiles. Theme was peace and economics. Experts believe that North Korea cut out the nuclear missiles to show President Trump its commitment to denuclearize," Trump tweeted Sunday. The president added, "This is a big and very positive statement from North Korea. Thank you to Chairman Kim. We will both prove everybody wrong! There is nothing like good dialogue from two people that like each other! Much better than before I took office." As has been the case in previous North Korean parades, U.S. intelligence analysts were expected to pore over every image available of the procession, in which ABC News and other Western media organizations attended. North Korea's ability to launch long-range missiles from mobile launchers has drawn the most concern from U.S. military analysts because they can escape satellite detection and be fired on short notice. 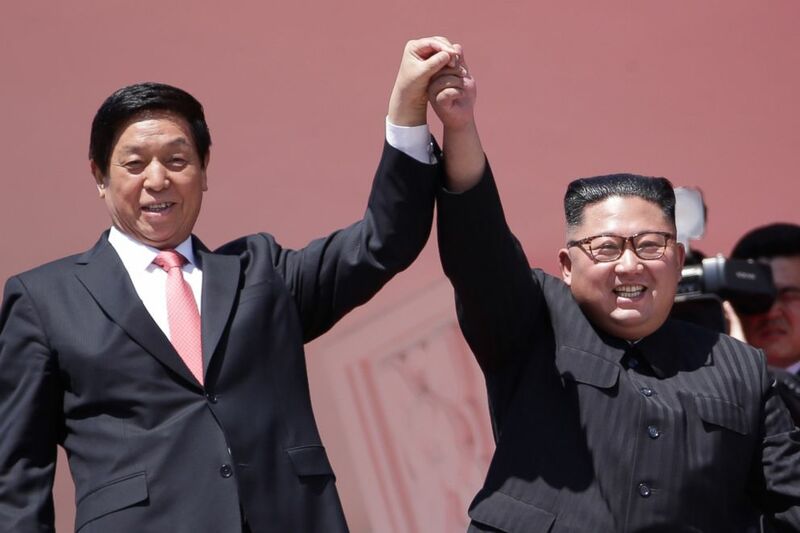 North Korean leader Kim Jong Un, right, raises hands with China's third highest ranking official, Li Zhanshu, during a parade for the 70th anniversary of North Korea's founding day in Pyongyang, North Korea, Sept. 9, 2018. North Korea had telegraphed as far back as 2012 that it is intent on attaining a missile capable of reaching the United States. It was during a military parade in April 2012 that North Korea showed off a new large missile that U.S. intelligence called the KN-08, which were much larger than North Korea's previous mobile launched missiles. Some analysts believed that the missiles displayed were mock-ups, others suspect they might be capable of reaching the United States, but North Korea never carried out a test flight of the missiles. In July 2017 when North Korea launched its first ICBM, it was with another type of mobile-launched missile that had been paraded earlier that year. During the military parade held on April 14, 2017, North Korea displayed a new type of missile that U.S. intelligence named the KN-17. Soldiers march during a parade for the 70th anniversary of North Korea's founding day in Pyongyang, North Korea, Sept. 9, 2018. Identified as a mobile-launched, single-stage missile powered by liquid fuel, it was initially believed to be a new type of anti-ship missile. But it soon became apparent that North Korea was placing a priority on the new missile that it called the Hwasong-12. North Korea conducted several unsuccessful launches of the missile before it achieved a successful launch in May 2017. And its significance grew as North Korea launched its first ICBM a few months later in July. According to U.S. officials, U.S. intelligence determined that the two ICBM's launched by North Korea that month were actually "hybrid" KN-17's," meaning that a second stage had been placed atop the single-stage KN-17. 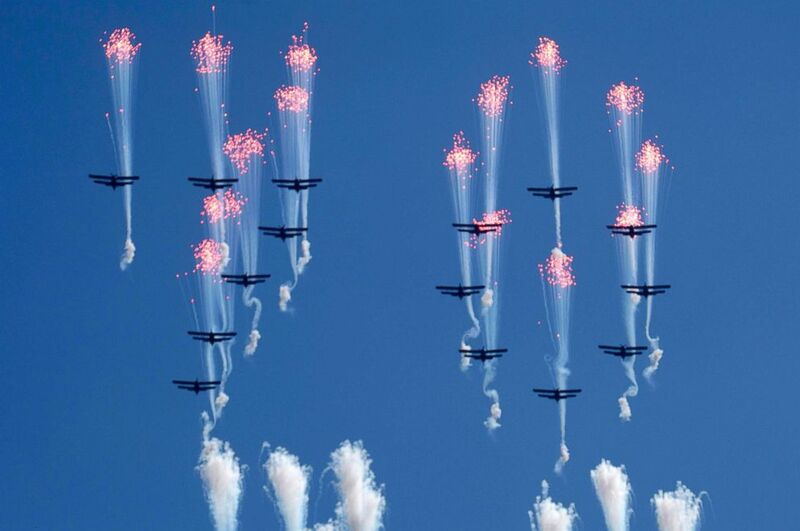 Airplanes forming the number 70 fly in formation and fire flares during a parade for the 70th anniversary of North Korea's founding day in Pyongyang, North Korea, Sept. 9, 2018. Last November, North Korea carried out a third ICBM launch that demonstrated it had a built a missile capable of reaching the mainland United States. Video imagery, of what U.S. intelligence dubbed the KN-22, indicated that the new missile was of a more advanced and larger design than the KN-17's tested as ICBMs. At its pre-Olympic military parade in February, North Korea offered the world its first close-up look at what it called the Hwasong-15 missile. Four of the missiles, each transported on nine-axle transporters, were paraded through the square.